Transforming Spaces (TS) 2019 is gearing up for its annual art bus tour which will be taking place on Saturday and Sunday, April 6 and 7. Slated to be another inspiring art event, this year’s theme “Sustainability – I Have A Dream – I Am the Dream - We are the Dream” is already bearing fruit. The first TS mural being celebrated by the LAHB participants and TS group. Photography courtesy of Dede Brown. Having started since September 2018, the theme will extend into the year 2020 to highlight the mission statement of one of TS’s founding members, the late Jackson Burnside, who stated that ‘by the year 2020, more persons will visit The Bahamas for its art, culture and heritage, rather than merely for its sun, sand and sea.” TS Executives, master artist Antonius Roberts and Pam Burnside, are spearheading this multi-year project which has its roots within the Bahamian community. Alan Wallace continues the murals along the original ‘Wall of Respect’. Photography courtesy of Dede Brown. 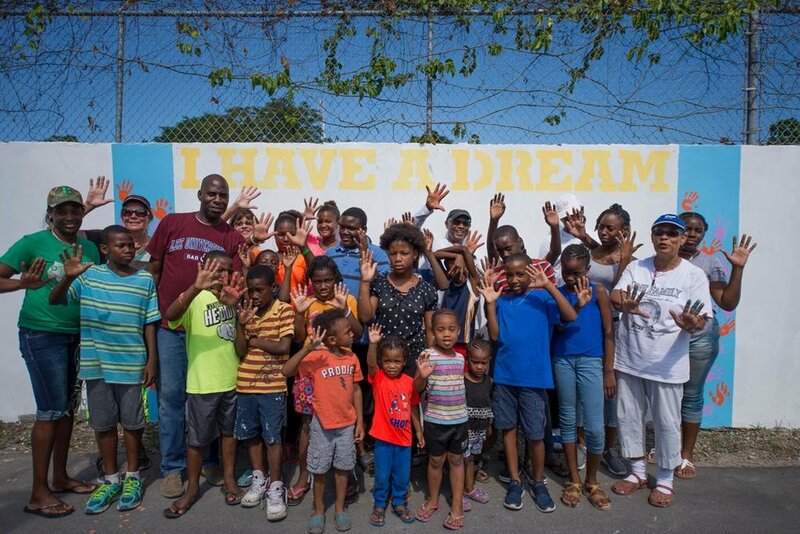 Last September, TS established a partnership with Lend a Hand Bahamas (LAHB) www.lendahandbahamas.org, a registered nonprofit organization formed in 2014 to bring local, national, and international opportunities and activities into the community by running a core hands-on curriculum centered on 4H programming. The organization opened their newly-refurbished Neville and Nora Dorsett Community Center in historic Lewis Street off East Street last October. A home in Lewis Street, which is still standing, is where Dr Martin Luther King resided when he first visited with Sir Randol Fawkes in November 1958. Another lesser known fact is that Dr King also wrote his famous “I Have a Dream” speech whilst visiting the island of Bimini in The Bahamas a decade later. Rosalie Fawkes and Antonius Roberts at the Martin Luther King presentation at the LAHB Center. Photography courtesy of Dede Brown. 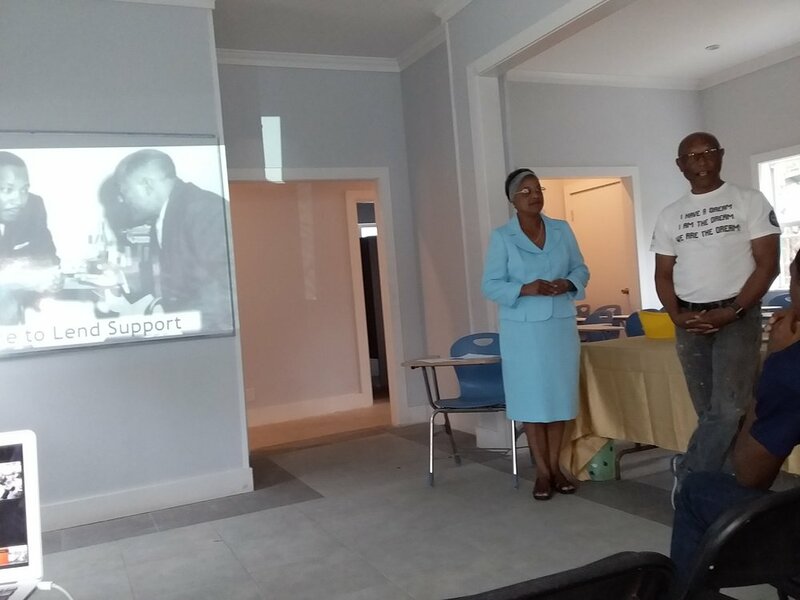 In recognition of Dr King’s visit to The Bahamas in 1958, Rosalie Fawkes, the daughter of Sir Randol, was invited to make a presentation at the community center on January 26 for the benefit of the residents of the area. Entitled “He Came to Lend Support”, she gave a riveting account of those transformative times in Bahamian history. It was a fitting tribute to take place during the month marking the January 21 Martin Luther King Day holiday in the U.S. Bahamian master artist, Max Taylor, was also on hand to confirm his participation. These historically significant events have been the inspiration for the TS theme. Drawing on the power of art to transform communities in a positive way, TS is integrating art and culture into the LAHB programme by the creation of amazing murals along the ‘Wall of Respect’ that was initiated in 2014 by community resident and junkanoo artist, the late Deon McHardy, aka Slime whose artwork will remain as drawn in his memory. The LAHB and TS teams pose with Rosalie Fawkes in front of the MLK mural by Jodi Minnis. Photography courtesy of Dede Brown. The first TS mural allowed participation by the children of the community, who are the main focus of the centre’s programmes and have become sustainable stakeholders as the project continues to enhance the reach and effectiveness of the initiative. Within just a few weeks of its inception, the positive dynamic resulting from this art and creativity combination has generated enormous excitement, community spirit, and hope through the rejuvenation of this depressed area, one mural at a time. Students from the public high schools in the area, along with University of The Bahamas art students and professional fine artists, are also collaborating on the project as the murals continue to enhance the area. The project is being carried out in collaboration with the Atlantis Resort, the American Embassy, the National Art Gallery of The Bahamas (NAGB), and private law firm Glinton, O’Brien and Sweeting (GSO). TS Treasurer, Antonius Roberts agreed: “For too long, and to our detriment, Bahamian Art and Heritage has been ignored as important cultural offerings, not only to our visitors, but to locals as well. These are the elements that can move this country forward and provide significant economic development to this destination. 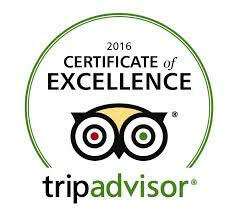 So we are very happy that the Ministry of Tourism has recognized the value in this collaboration which bodes well for the future of the industry. To follow the project’s developments and obtain information on TS2019, log on to the TS website at www.tsbahamas.com or contact them at info@tsbahamas.com.